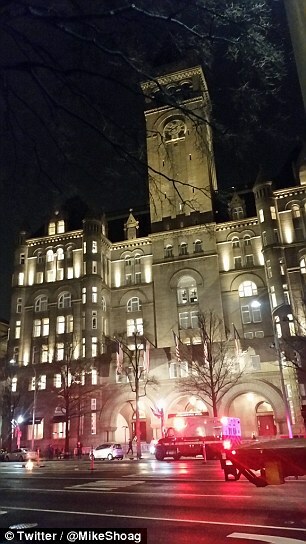 An anti-Donal Trump protester set himself on fire outside Trump International Hotel in Washington DC on Tuesday. The man, who has not yet been identified, said the act was in protest of the President-elect's looming inauguration. 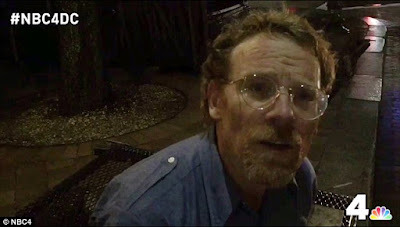 He suffered non-life-threatening burns and was taken to hospital shortly after the incident at around 9.30pm. 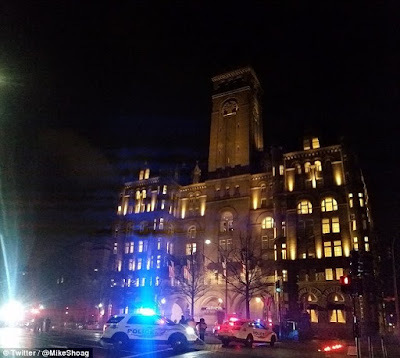 A Washington DC Police source told DailyMail.com he was not arrested. 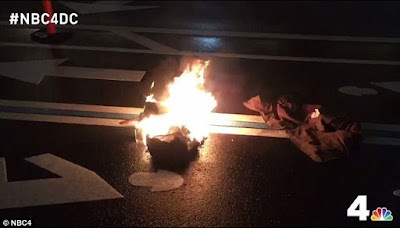 'I tried to light myself on fire as an act of protest. '(I'm protesting) the fact that we've elected somebody who is completely incapable of respecting the constitution of the United States.' 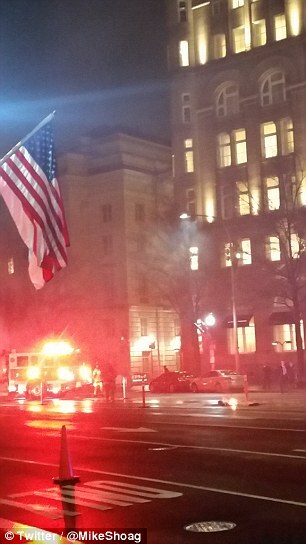 A Washington DC Police source said the man was injured but that his wounds were not serious. Anti-Trump protesters have been flocking to Washington DC this week ahead of Friday's inauguration. They also inundated Ivanka Trump's Manhattan home on Tuesday, carrying moving boxes plastered with protest slogans to mock the businesswoman's move to Washington. New York Mayor Bill de Blasio said on Tuesday he would also join demonstrators at a protest outside the family's Manhattan hotel on the eve of the inauguration. 'I'm rallying at Trump Int’l Hotel at 6PM on Jan. 19 because our next president needs to hear from all NYers before he takes office. Join us,' the mayor tweeted.